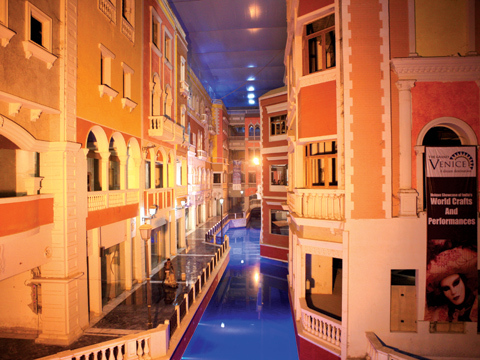 The Grand Venice located in Greater Noida provides an authentic experience of the city of Venice, Italy. The concept brings hospitality, entertainment and luxury under one common realm. The mall within, is spread across 3.2 million square feet. The main idea behind Grand Venice is to develop Noida as the next tourist destination. Being the lively recreation of the City of Venice, The Grand Venice is endowed with replicas of every structural and architectural marvel of the city. The Bell Tower of the St. Mark Basilica is being recreated at its best. The fountain of wishes is recreated with every detailed sculpture and art works. The Statue of Julius Ceasar, the Leaning Tower of Pisa and other marvels are being recreated to deliver the original charm of Roman arts to visitors. In addition, underwater sea walk, ocean life experience, mermaid shows and other captivating amusements are being developed with international collaborations. The Magic Sky is another attraction of The Grand Venice. It is the first digital sky with 3D effect in India. Collaborating with shopping giants such as Big Bazaar, Central, e-Zone as well as high end and luxury brands brands, Grand Venice aims to provide enhanced experience of shopping and entertainment. Grand Venice fulfills the need of all discerning customers who would intend to experience a real retail experience ranging from mundane to designer stuff. GV caters to leisure, life styling, convenience stores and value centres to all walk-ins. It has an interwoven mix of regional, national and international brands in the mall. To name a few, viz: Singapore style Aquarium, Italian Gondola rides etc. besides the retail brands. The marketing strategy is through probing of customer profiling in the given demography and promotional offers to the customers besides offering a very competitive pricing. It helps us in attaining deep insight into individual’s requirement in the Mall, says Satinder Bhasin, Managing Director, The Bhasin Group. Though eCommerce is really a big challenge to all Brick-and-Mortar spaces, nevertheless, we are trying to see it off by having e-tailers for providing stuff at customer’s doorstep, said Bhasin. The Group is coming up with another high end project. The construction of approx. 6 million sq ft of mixed commercial space namely Festival City, consisting of high street retail, office spaces etc has commenced at Noida Expressway.